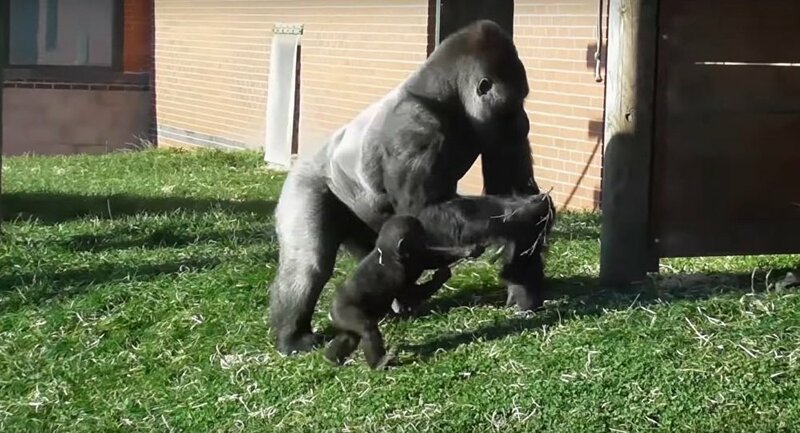 Gorillas are primates which live in groups led by experienced and strong alpha males, and, at a UK zoo, a father was recorded disciplining his offspring. In this video, Shufai the baby gorilla can be seen playing around with tree branches in Twycross Zoo. When his dad tried to take the branches away from him, he persisted. His father then gave him a lesson to reassert his authority and show him he was serious.